Deeno from MadDinoAsylum and I have done it again! We’ve madcapped another series! Yes, the finale was a bunch of fluff, but sometimes fluff is cute! AGB Nielson Nationwide had episode 16 coming in at 19.7% and episode 17 at 21.8%. Raine: The lovebirds are surprised to see each other and try to act cool. He asks if she’s still a radar and she says that she’s not. He fishes to see if she missed him and she did. She tells him she is doing fine and has changed because of her travels. 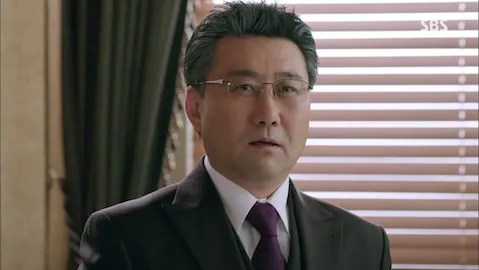 Master delays his very important money-making meeting to be with Gong-shil. It’s a meeting with his ex-fiancee from Shanghai. He’s opening a Kingdom mall in Shanghai and will be going to live there for a few years. Anyway, Gong-shil made some money while she was away and bought a house in England. He notices she’s drinking and pours her a drink. Gong-shil hesitates to drink it and he catches on so she downs it…and the next glass he pours her. She’s so lying. SO SO LYING. Deeno: Totally lying! Let’s start playing with fire! And nail polish. Raine: We could light the nail polish on fire. Then you’d have flaming finger nails. Deeno: Let’s try this out on your fingers first. Raine: You’ve seen my stubby nails. They’d work better on dino claws! RAWR! Don’t mess with the flames! Deeno: But my nails are covered with adorable minions. Don’t make them cry! Raine: Oh, okay. If only for the minions’ sakes. Momo, my minion, asked me to be nice to your minions. Deeno: I have yellow and rabbit and hippo minions. Raine: Gong-shil suggests meeting at another time when the timing is better and hurries away, leaving Master wishing she’d look at him. In the lobby, she runs into a drunkard ghost. I KNEW she hadn’t lost it. HA! She moans that she lost a good chance to be around Master when he treated her like Tae Gong-shil and not “Radar”. In the taxi home, Gong-shil is possessed by the drunkard ghost who wants to buy a garden shear. She keeps babbling and freaking out her taxi driver. Luckily, Master makes the driver pull over and tells Gong-shil to get out. To hell with good timing, he says. After Gong-shil says one phrase, he knows she’s possessed and tells the ghost to get lost. He touches her and she passes out in his arms. He will forgive her if she left him earlier because of the ghost. D’aw. Master, you deserve to get the girl. Deeno: I really thought the ghost who possessed her wanted to go murder someone. That would be bad….for her. 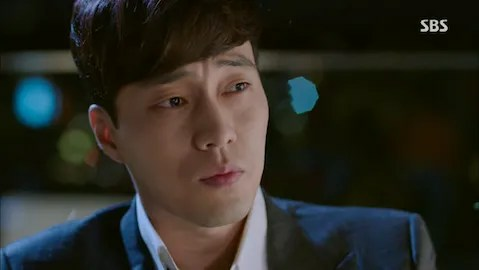 Raine: At first I thought Hee-joo Blue (Real Han-na) wanted to murder Hee-joo 2 (Real Hee-joo) and I was worried about how it would effect Gong-shil. I also thought ghost lady wanted to buy shears to kill someone. But they woudln’t send Gong-shil to jail in the last episode…would they? Deeno: Well, I’m so annoyed with her after the last several episodes that I wouldn’t mind. I kept thinking of ways to kill her. Raine: When Master “died” I kept thinking she was going to die later and that they’d be a ghost couple. Deeno: I wish he’d really died instead of having all that mopey noble idiocy. Raine: Yeah, nobly idiocy is idiotic. Raine: The next morning she wakes up to Master watching her, a complete reversal from the first time they woke up together in his bed. He teases her, repeating her words from earlier in the drama. This time she reacts as he thought she would the first time: she covers up, asking what happened. He explains that he saved her from causing trouble in a taxi, but he wasn’t saved from trouble. She seduced in many ways. Raine: First, she harassed him as a child wanting ice cream. Next he finds her sitting on his sofa like a cat. She attacks him when he tries to touch her. He covers her with a blanket and growls triumphantly at her. Hahahaha. Last, she comes back as a French lady who gets blasted out of Gong-shil’s body when she caresses his face. Hehehe. Deeno: So cute! I wish they had more scenes like this. Raine: Adorable. I love how it parallels that earlier episode as well. Raine: Master explains that she was just a drunk, easy Gong-shil and leaves out her possession. One last flashback from the night before shows her drunkenly hanging onto his hand and saying she really missed him, not at her hideout, just him. She couldn’t find a way to rid herself of her ability so she still sees ghosts. She was planning to come back to seduce him as a normal woman and then break the news that she still sees ghosts. He thinks she’s silly since he already likes her, but she didn’t want to be a radar to him. She even made a lot of money like him. Deeno: Just seduce him already! Why wait or mess around. Do you want him to die while waiting for you. I’ll arrange that. Deeno: People who die should stay dead. And comas shouldn’t exist! Raine: This show exceeded it’s coma quotient. There were three that I counted. Hotel haunting ahjumma, Gong-shil and Master. Three too many. Raine: Back in the present, he asks her for her digits since she slept at his house. She says she’s not easy enough to do that. Then he changes his tune: he knows she arrogantly wouldn’t give it to him so he took it. He teases her not to answer the phone right away and she seriously asks him not to call her, dampening his good humor. He agrees to let her do as she wishes. IE she wants to do the calling and seducing. He asks if he can at least send texts in the meanwhile. D’aw! Then he encourages her to do her best to seduce him after she walks out with a fist pump and a “Fighting!” Hehehehe. She leaves thinking that he believes that she no longer sees ghosts. Deeno: Why is she leaving? Just start making babies already. Raine: There is something seriously wrong with her. Maybe she got her brain scrambled by Lee Chun-hee while she was away. Deeno: He’s very good at scrambling brains. Just one look. Brain is useless for anything besides drooling for the rest of the day. Deeno: This drama needed more abs. Less beer. Raine: It was useless beer because it didn’t lead to stripping and abs. They needed to drink Fort Collins’ beer. Deeno: Unni, you’re scaring me now. 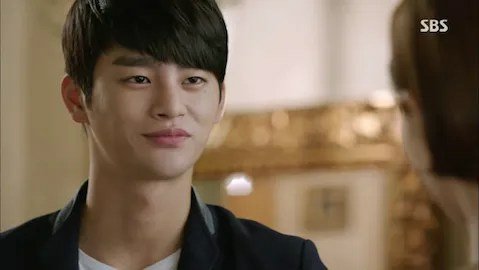 Raine: Uncle sees Gong-shil leaving and tells Aunt that Master isn’t up for exercise, saying he’s still focused and smiling about Gong-shil (who he calls Bang-shil, another word for smile.) Aunt doesn’t like hearing about Bang-shil and decides she’s feeling to ill to run without Master. Uncle jokes about having a kid to side with him and when Aunt glares, he forces her to smile and says “Bangshil!” which is a word for smile in Korean. Heh. Raine: Gong-shil’s unni gets a call from Gong-shil that she’s return. Unni warns Sneaky, who is now Security Team Leader, to keep his mouth shut. He says he won’t gossip and then proceeds to share some gossip. Apparently Gong-shil made Master go crazy. He sits on a bench talking to himself (it looks like Trashcan ghost’s bench). 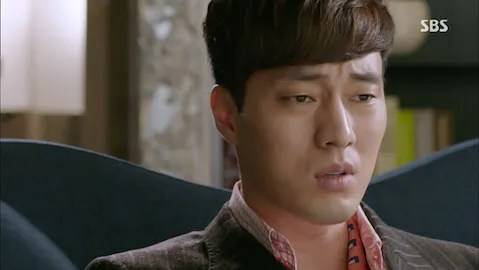 Unni feels bad for Master and Sneaky decides that he wants to be introduced formally to Gong-shil and get his marriage on with Unni. 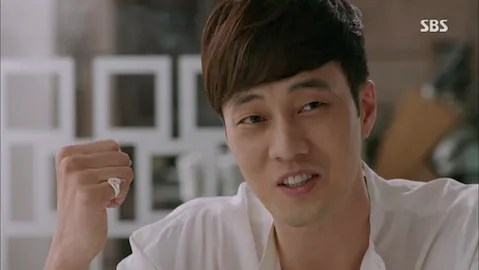 They gab a bit about Kang Woo liking Yi-ryung and using them to MC and sing the congratulatory song at their wedding. 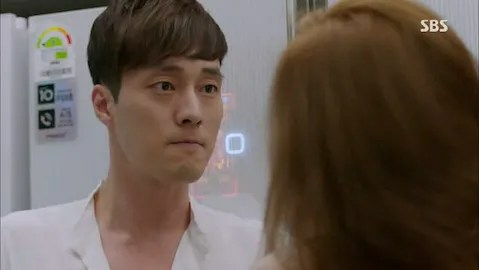 Sneaky worries Kang Woo will want to go back to Gong-shil when he sees her. 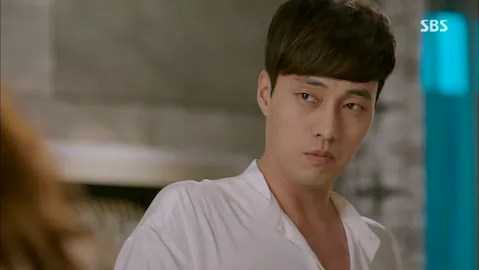 Raine: Kang Woo guards some foreign chicks and Yi-ryung’s manager photographs him and the photos make Yi-ryung jealous. 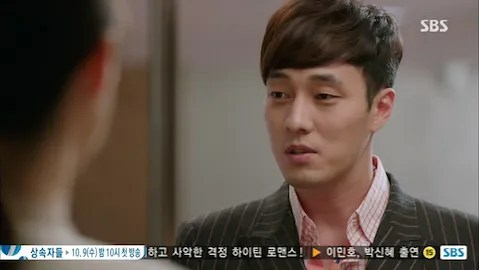 He catches the manager and ends up meeting with Yi-ryung by the Han River. She tells him to guard ahjussis rather than women. She also complains that they always meet in secret for a short time and he says it’s to protect her from the public eye. Yi-ryung latches onto that and interprets it to mean he’s going to always protect her. She wants him to take her to a movie and not a normal one: a film festival movie. They are in a relationship and she wants to make it public. He’s hesitant about the limelight and his ability to protect her there. She’s so cute while begging him I’m sure he doesn’t say no. He doesn’t, right? EEE! I didn’t think he’d actually date her. It’s really flippin’ cute! Deeno: It makes me so happy. She sent someone to stalk him and I love how it completely failed. 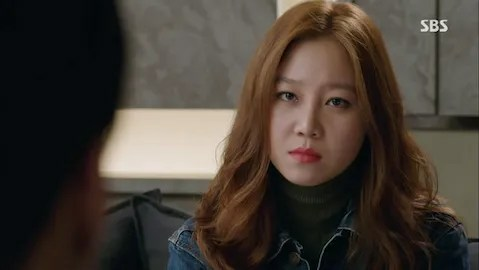 It’s kinda watching Oh Ha Ni spying on Baek Sung Jeong….I so got that last name wrong. But way more adorable, which is why I need to memorize the names of the Japanese characters. Raine: Baek Seung-jo!!!!!!! And yes, she’s ridiculously cute. They compliment each other well. They are both immune to the others’ worst quality and they both see the good in each other. 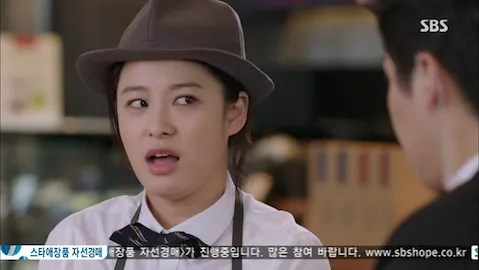 Plus, Seo In-guk is hot and she is too cute for words. Deeno: That’s pretty close for a character name…I have even less reason to learn their names. Raine: Oh names…names…I love you! She tries to buy the building, but ownership changed hands to…MASTER! He is a bit sore over the fact that she ignored his texts to call him and only comes to buy a building. He’s focusing on getting her to call him while she is dead set on buying the building. While her trying to win him is cute and all…it’s a bit pointless when he’s already been won over by her ten times over. Deeno: Yeah. I’m just annoyed and I don’t want them to have a happy ending cuz I’m so annoyed. Raine: I want him to knock some sense into her. Deeno: I think the sense should already be there. Raine: Yeah…too late for that one…grrr…. Raine: She leaves him to brood over her backwards way of wooing him. Gwi-do reminds Master that he isn’t someone to go by someone else’s order of operations. Ooooh. I likes how you think, Driver Gwi-do. He advises Master to push forward a bit. Aunt is preggers. Wow, really? Okay. Apparently she couldn’t get knocked up when she was younger and had a natural abortion. So it’ll be hard to keep the kid, but if she tries she can. She decides not to tell her husband about it and listens reluctantly as he tells her about their adventurous vacation for their fifth anniversary. Then she decides that it’ll be fun and he declares his love for her. Deeno: This came out of nowhere. Raine: Quick! Quick! We need to fill time! What do we write? Oh yeah! Knock the ol’ gal up! Deeno: I know they like their old people romances, but this really was filler. Raine: Gong-shil meets with Trashcan and gets caught by Master. He wants to argue over the building price over dinner and she denies him. He says he’s really busy with match dates and its hard to make free time for her. She immediately gets jealous, which is what he hoped for, and he tells her that’s why they can’t do things her way, in this very backwards order. He wants her to seduce first. He holds up his phone and asks her to call him. She gets suspicious, wondering if she said something while she was drinking. He admits she did and he doesn’t care if she can see Trashcan ahjussi. He knows she can see ghosts and asks if she hates herself for seeing them. 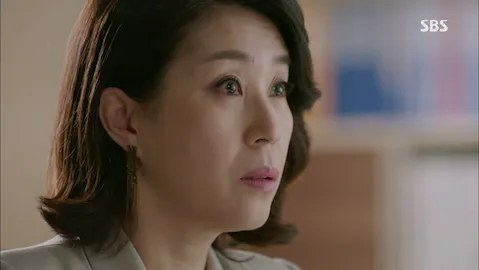 Before she can answer them, a young woman and her mother pass by, making Trashcan ahjussi freak out and making Master frustrated at how ghosts always interfere at the most inopportune times. Hehe. Deeno: Janitor and Master chase after Trashcan. They find out that he won the lottery several years ago, but lost the ticket and couldn’t pay for his daughter’s college. Since then he’s been haunting the trash can he left the ticket in. Master decides that he’ll help out by paying for his daughter’s wedding since he owes Trashcan so much. Raine: That was actually really, really sweet. I like Master’s strange rapport with Trashcan. Deeno: I like it too. I’m so glad he’s changed. 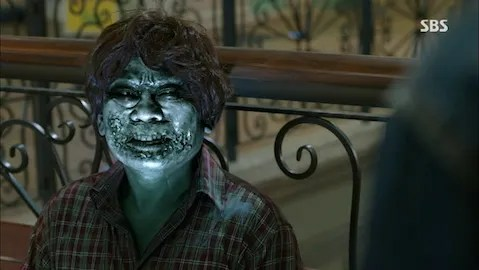 Deeno: Janitor reports that she found out she promised to help while she was a ghost, which is why she was able to see ghosts when she returned. Janitor also learned how to better control the ghosts thanks to Lee Chun Hee. Chun Hee kills Coffee Ghost. Raine: Sooo….she promised to help souls like her and that’s why she has the ability? Okay…I guess I buy it. I’m going to miss Coffee Ghost and his cheeky grin. Off to your real body Coffee ghost. Go take your college entrance exams. Deeno: Wait? Coffee ghost is in a coma? I thought he was dead. Deeno: I guess so. That’s just annoying. I hate comas. Raine: Fourth coma in this show. Deeno: Master keeps trying to steal dates with Janitor, but she tells him to help Trashcan instead. She talks to Aunt who is still indecisive about the baby. Janitors advices is to love so she won’t be lonely. Master brags to Trashcan about Janitor coming back and hopes to get married soon. Raine: I think it’s funny he harps on her to call him when they are talking in person. He’s obsessed with “the phone call” that means she’s going to try to seduce him. But…she’s RIGHT THERE IN FRONT OF YOU. You own a hotel. USE it. Deeno: Janitor goes back to her apartment and help Security help the kiddos move. She starts giving out love advice. GAH!!!!!! Aunt tells uncle about the baby and he’s so excited. Cute! Deeno: Poodle and Security decide to walk the red carpet together. EEEEE!!!! Raine: They’re daaaating. They’re daaaaating! Deeno: I know! They make me so happy, which is good because much of this drama doesn’t. Deeno: Janitor buys the study motel and finally gives Master a ring. Is that ringtone because of the drama “Ghost?” They have a nice date on the rooftop. Janitor has decided to stay by master and admits that she loves him. They kiss. Raine: I noticed the ringtone was Phantom of the Opera. 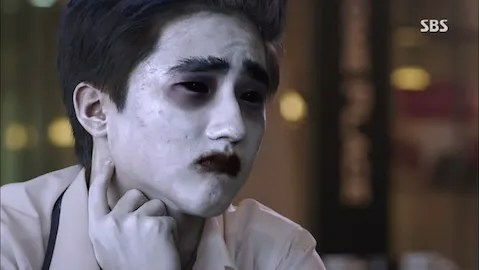 Was it in the drama ghost? 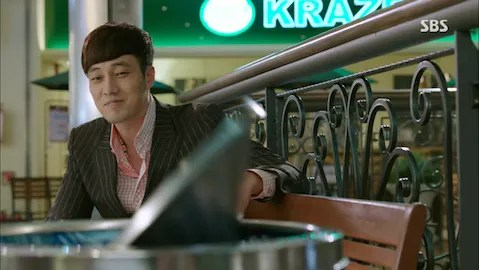 Another So Ji-sub reference? I thought the Phantom reference had something to do with her ghost powers…. Deeno: Security is hesitant to walk to the red carpet, but gains courage. Poodle teases him about kissing in front of all the reporters and he promises to kiss her later instead. NO!!!!!! I want kissing now! I need kissing! Raine: Kiss her! Kiss him! Kisses all around. KISSES! Deeno: I want them to kiss way more than I want Janitor and Master to kiss. Deeno: Unni and Sneaky date and wonder what it would be like to know you met your soulmate just by touching them. Flashing back to Master and Janitor she knew something was up with him the first time they touched. GAG!!! Janitor also reveals that she met Steve Jobs in America. Sprinkles and glitter fall from the sky. Raine: I like that they brought back the Steve Jobs reference from before. Deeno: I thought that was nice, but the whole soulmate thing makes me want to puke. Raine: I’m thinking the extension hurt the show. And so did Gong-shil’s idiocy. It would’ve been better if she was just straight forward: I’m terrified to be with you and hurt you again. Instead, she lied and made stupid wolf/lamb excuses and it drove me crazy. Master was adorable. Deeno: Extension probably hurt the show, but I don’t think I would have liked the end even if it wasn’t extended. Raine: I like my happy endings. It’s just that I was so exasperated before I got there that the payoff was slim. Deeno: A better payoff would involved one or both of them dying! I’m bitter about this show because I got way too annoyed. Raine: I still wanted them together if only for his sake. She was awesome ‘til after he died. Then she was lame. Deeno: And then she started preaching about love in the last episode and I wanted strangle her. What does she know? Gah! GRRRR!!!!!!!!!! Deeno: I wouldn’t mind learning a bit about that. Raine: That’s what the extension should’ve been about! Raine: Thank you all for reading our madcaps! It was fun even if some of the too-drama-y drama wasn’t. I liked the cuteness at the end. Was it the best Hong sisters drama ever? No. But it’s a huge step up from Big. Who is ready for Heirs to air next week?!!!! LEE MIN-HOT! Choi Jin-hyuk! Kim Woo-bin! Park Shin-hye! Lots of hotttttt! May I know what was the title of the song played in the last episode (episode 17)? The part when they were showing the behind the scenes photos?